I'm a huge fan of gold foiling. HUGE fan. So imagine my excitement when one of my favorite paper companies, Dauphine Press, announced their new line of foiled invitations! 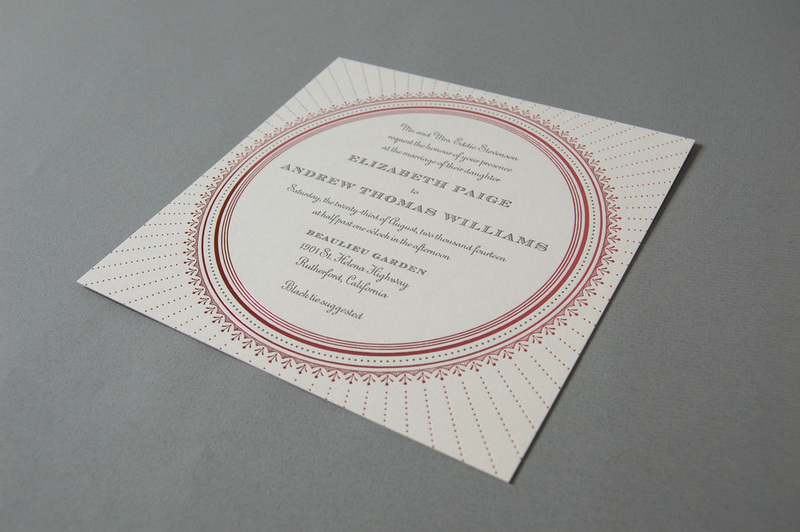 Now not only can you have amazing design and stunning letterpress, but you can also get a little some extra special on your invitation suite from Dauphine Press! Below are three of the new designs from Dauphine Press as well as a few details about each design. 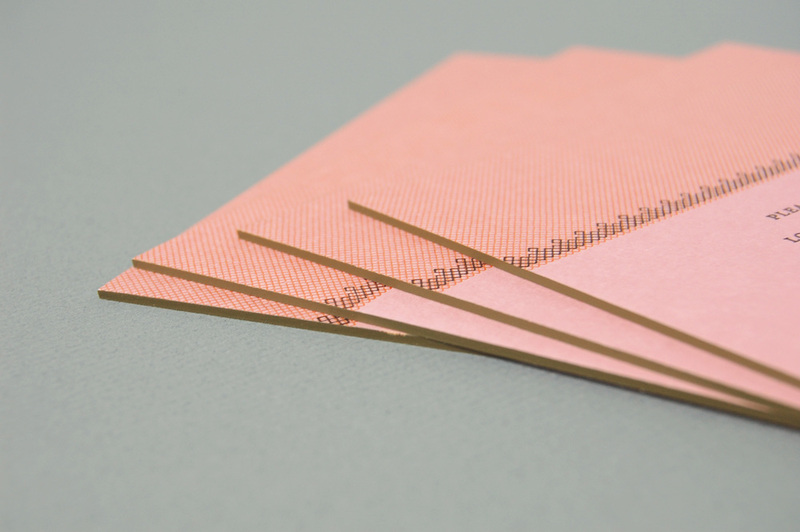 This new design is printed on our Luxe Board Duplexing, our thickest paper option, using pink Peony colored paper. 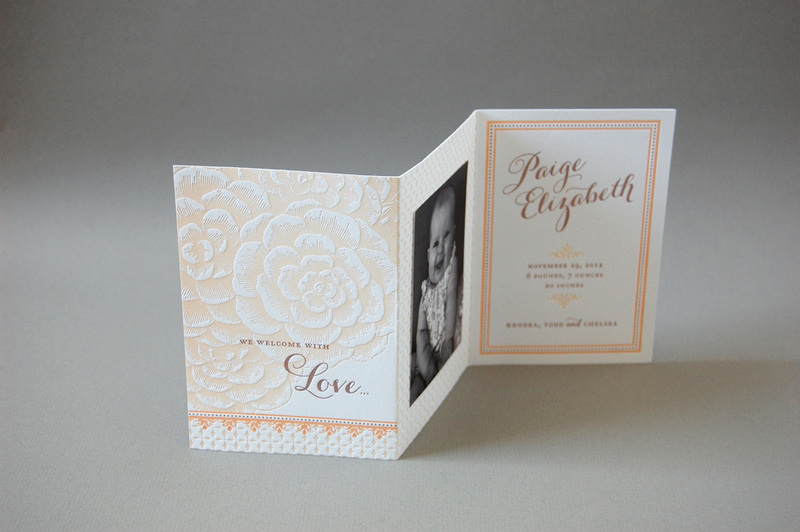 The card is printed in Cantaloupe and Tobacco letterpress inks and Tobacco painted edges. The design features the same border elements as the inspiration card - a cross-hatch pattern that is a perfect way to add blocks of color with letterpress printing. The fonts used and oversized card create an overall traditional look. This is a great example of how our custom design process can guide clients to making any type of card. Using our Marinwood photo trifold as inspiration, but changing the motifs, patterns and color palette, even a baby announcement can be easily designed. 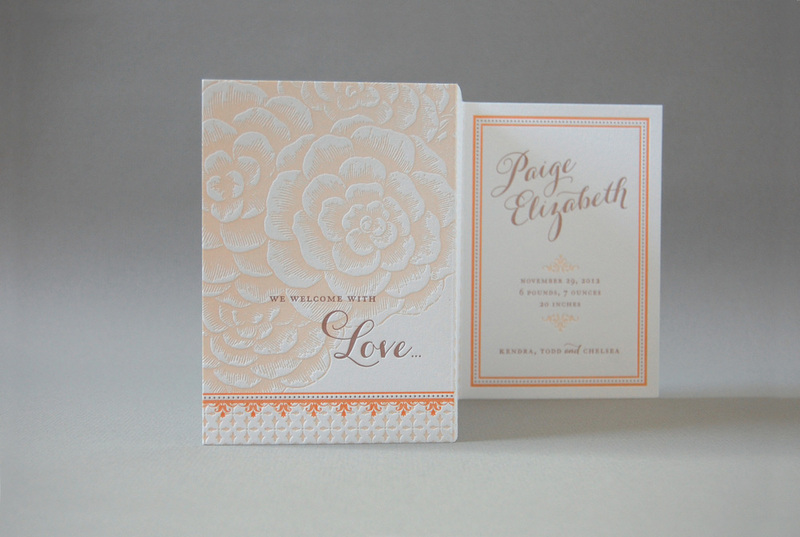 This baby announcement features three letterpress inks - Nutmeg, Peach and Apricot. This new design is printed on our Traditional Duplexing in London Fog. 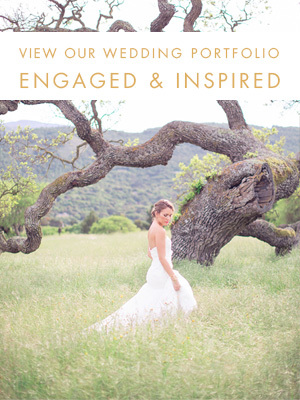 The card is printed in Taupe letterpress ink and Blush foil. Using a colored paper stock, colored foil mixed with the letterpress and swapping out the cirlcular frame for a motif with a little more detail than the original creates a completely different look.